BLACKWOOD – Camden County College this summer demolished one of the Blackwood campus’s oldest buildings, Wilson Hall. The college vacated Wilson Hall after it renovated Taft Hall and centralized student services there several years ago. College President Donald A. Borden said Wilson Hall was demolished for cost efficiency and safety purposes. Even though Wilson Hall was no longer being used, it “still had to have electricity for the lights” and the college would have been responsible for “any injury that could have occurred while inside the building,” Borden said. 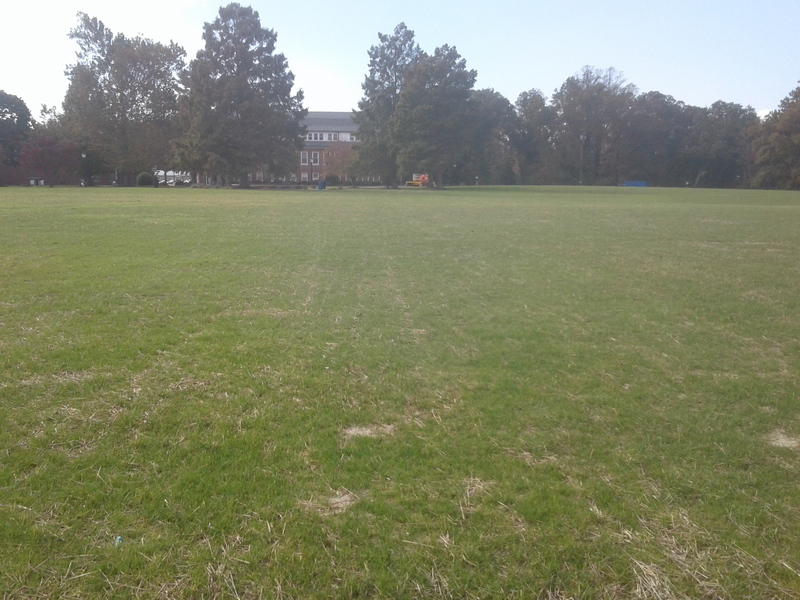 A grassy field stands where Wilson Hall had stood and the future of the space is uncertain. “The college’s biggest growth is in the online programs, so there is nothing planned to go in the open space yet,” Borden said. As to whether the college might expand programs in its partnerships with Rutgers University and Wilmington University and thereby find a new use for the space, Borden said the college is “always open to opportunities for students.” He added, “The campus is used for many events throughout the year,” so the new field may provide more space for those events. The college plans in the near future to start renovations in Lincoln Hall and Papiano Gymnasium, Borden said.